National Hospital Collections (NHC) is a FULL SERVICE collection agency. Telephone contacts and collection letters are both used to collect your delinquent accounts. The telephone is our most effective tool. Two collection staffs make morning, evening, and Saturday calls to attain the maximum number of contacts. A telephone attempt occurs in the morning and if the attempt is unsuccessful, an additional attempt is made in the evening. This cycle continues every other day until six (6) attempts have been made. If no attempt has resulted in communication with the consumer, a Saturday call is attempted. Collection letters complement the telephone effort or are utilized solely if phone contact is not possible. Accounts are worked in a telephone call, letter, telephone call, etc... manner. NHC's unique collection strategy sets us apart from all other collection services! Telephone calls are actual communication with the consumer. Numerous attempts may be made resulting in one telephone call. Accounts without a telephone number are transferred to our internal skip-tracing department to obtain a new or possible telephone number. All collection letters are mailed with address request service provided by the United States Postal Service. Accounts with mail returned are transferred to our skip-tracing department for locate work. A variety of skip tracing sources are used to obtain new and accurate information. NHC is a subscriber of E-Oscar Online to receive and resolve all disputes as quickly as possible and without the wait of mail to further delay the collection of your accounts. Every effort is made to discourage and minimize consumer contact with your office. Consumers are also encouraged to remit payments directly to our agency. 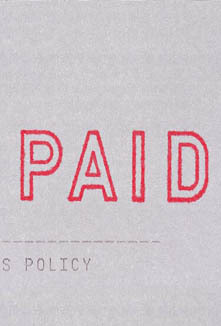 Pre-addressed envelopes accompany all collection letters. 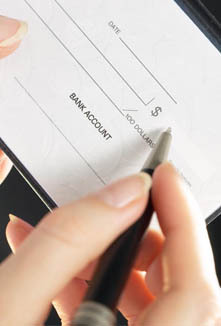 Various payment options are offered, such as, check, check by phone, ACH, money order, money gram, Visa and MasterCard. Remittance invoices are mailed to your office on a weekly or monthly basis as dictated by you. Direct consumer communication with our agency reduces your employee's workload, saving you time and money. Also reducing your workload is NHC's online view-only account access through our web server. Client Account Access link above. Our goal is to maximize your net return of delinquent dollars, and to do so in a tactful, ethical, and courteous manner. Our collectors are trained to conduct themselves as an extension of your collection effort. An awareness of good public relations is constantly maintained by our staff. The collection policies and procedures formulated and practiced by NHC, adhere to all federal, state, and local laws regulating collection agencies. Compliance is at the top of our priority list. No up front fees to pay. Our AGE BASED FEE SCHEDULE offers five different rate categories. A significant savings can be realized by NHC clients. The commission rate is determined by the age of the account. Accounts are aged from the most recent date of service, payment, or insurance denial date, to the date received by NHC. ACCOUNTS DO NOT AGE AFTER LISTING WITH NHC. THE COMMISSION RATE IS LOCKED IN FOR THE LIFE OF THE ACCOUNT. No charge to you if we do not collect. All fees are contingent upon collection. 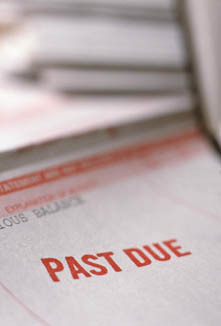 You pay only if the debtor has been contacted by NHC. Accounts may be recalled for legal action. The Business Associate Agreement, to be signed by both parties, clarifies the business relationship. The Business Associate Agreement will continue in force annually, but may be terminated by either party with 30 day written notice. Upon termination by either party, all accounts may be returned to client except the accounts worked less than six months and accounts on which payments have been received on a regular basis. Flat rates can be negotiated through our Sales Department. Please contact us at 1-800-626-2029 or roy@ccuhome.com.